A notable facet of the U.S.-Mexico-Canada Agreement (updated NAFTA) is that it leaves the section 232 tariffs on Mexican and Canadian exports of steel and aluminum in place. While discussions are ongoing to remove the 25% duties on steel and 10% on aluminum, according to U.S. Trade Representative Robert Lighthizer these are separate issues, Real Clear Politics reports. 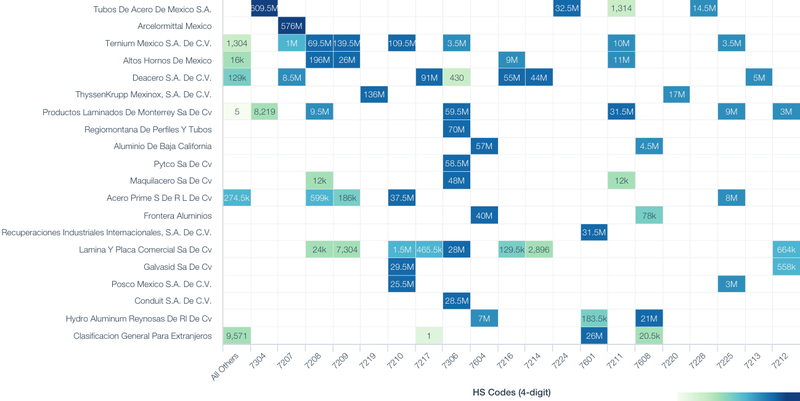 It also comes as the process for importers to apply for exemptions is still ongoing – there’s been 12,803 requests for steel exemptions and 293 for aluminum based on Commerce filings. Given the conclusion of the section 232 review was that a restriction in imports is needed to ensure capacity utilization in the U.S. steel and aluminum industries rises to a sustainable 80% it’s unlikely that Canada and Mexico can be entirely released from the duties. 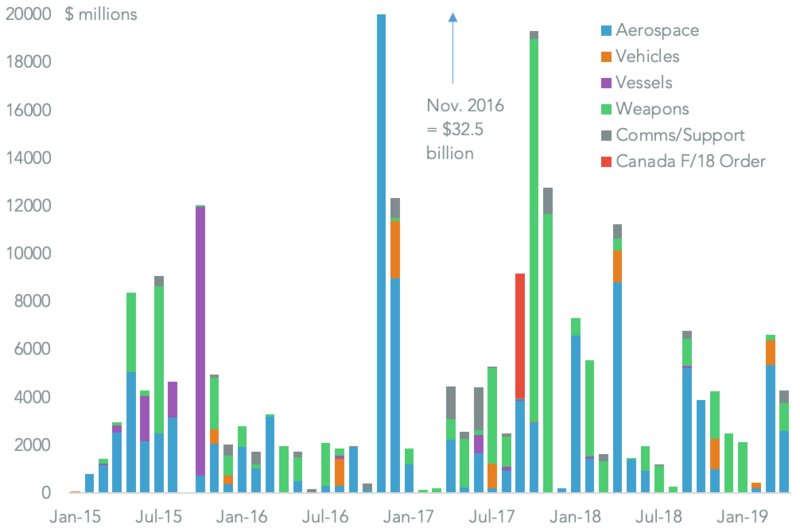 Panjiva data shows that Canada accounted for 27.1% of total U.S. imports of $47.9 billion in the 12 months to July 31 while Mexico represented 6.4%. 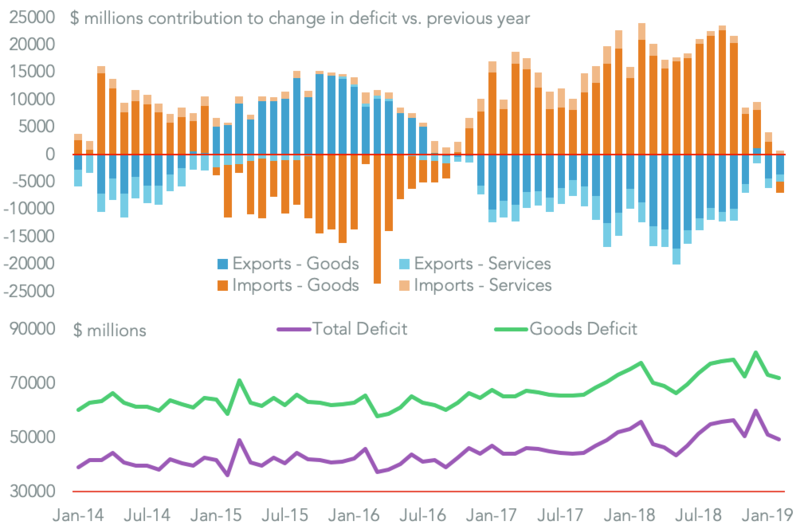 Exports in June and July (tariffs were applied from the start of June as outlined in Panjiva research of June 1) fell 23.3% vs. the prior three months average for Canada and by 24.7% for Mexico. 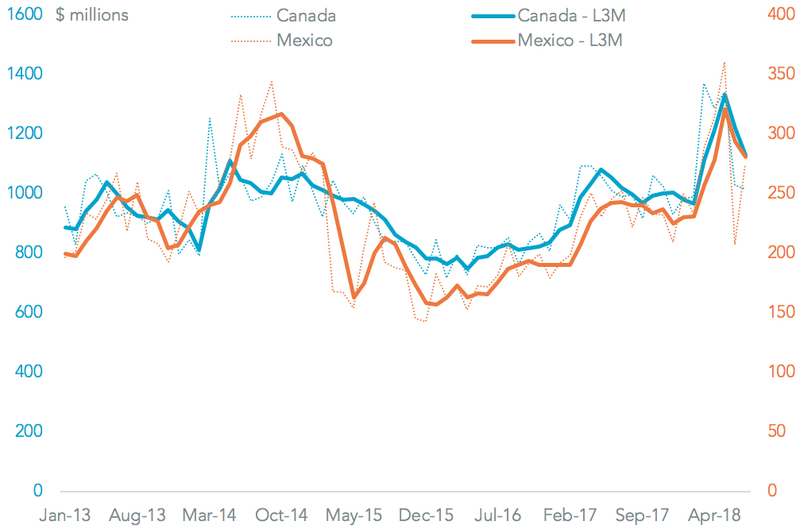 There was a pre-tariff run-up in supplies shown by Canadian exports having risen by 2.2% on a year earlier while Mexico’s fell by just 3.2%. Mexico’s manufacturers will increasingly look for alternative customers should tariffs not be removed. The U.S. accounted for 68.4% of the $5.0 billion worth of Mexican exports of the metals covered by the section 232 review in the past 12 months. 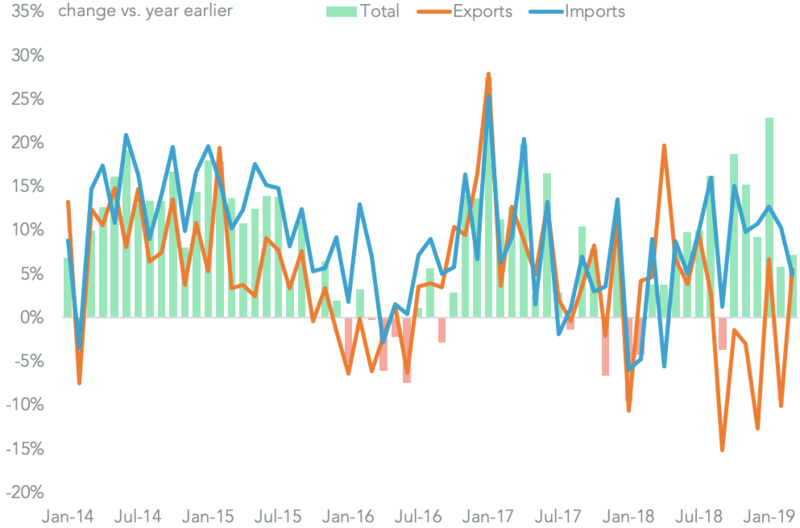 The need for a switch of customers is evident from the 17.2% drop in exports in dollar terms in the three months to August 31 sequentially. 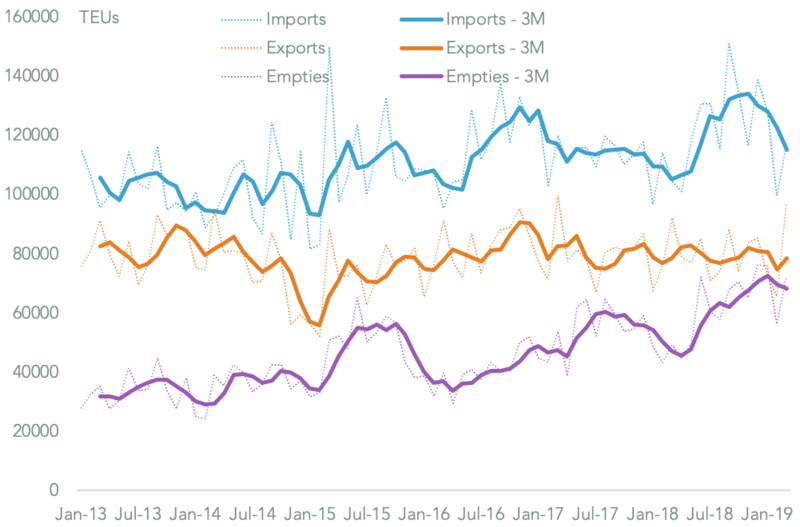 That process has begun to get underway with exports to countries outside the U.S. having risen by 12.2% in volume terms in the three months to August 31 vs. a 12.4% slide in exports to the U.S. over the same period. The largest steelmakers that may need to find alternative customers include steel tube manufacturer Aleacion Tubos ($656 million of exports to the U.S. in the 12 months to August 31), ArcelorMittal ($576 million, led by semifinished, non-alloy steel) and Ternium ($336 million including flat-rolled non-alloy steel).